I know right! Thanks for stopping by! Quoting Josh Amberman Nice updates! Looking good! Keep it up:D P.S. I was wondering if you would want to start mutual aide with our department. Nice updates! Looking good! Keep it up:D P.S. I was wondering if you would want to start mutual aide with our department. Quoting Oran Cruzen Nice update Michael! Thank you so much Oran! Quoting Lane Spyksma Looks great now that there are more pics! Great Job! Quoting Daniel Ringuette Looking good so far! I like the angled windows and the wheel wells! You have a great talent for building fire engines! Keep up the good work! Thank you so much Daniel! I'm glad you like the SNOT work! Looks great now that there are more pics! Great Job! 3 ladders, 2 rescues, 1 water rescue, 6-7 (idk) engines. Looking good so far! I like the angled windows and the wheel wells! You have a great talent for building fire engines! Keep up the good work! Quoting Scotty Jones @Michael we have one truck with hazmat equipment on it for calls, we have a fast/rit team, and we have a 24 hr staffed department for any additional mutual aid. How many apparatus do you have, and how much resources are you able to allocate? By the end of May, I will have 9 engines, 4 ladders, 1 rescue, 1 US&R, 1 hazmat, and other special call vehicles. 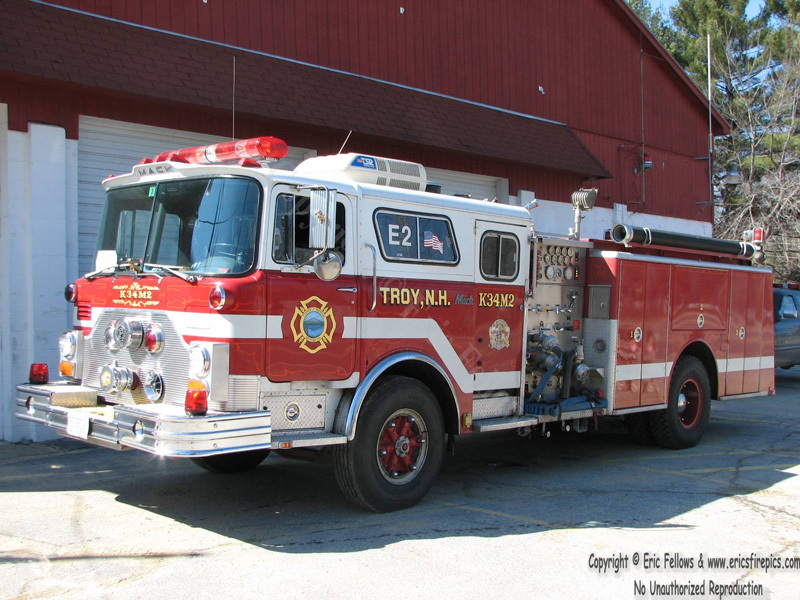 Special operations and up to 2 task forces (4 engines, 2 ladders) can be sent for mutual aid. @Michael we have one truck with hazmat equipment on it for calls, we have a fast/rit team, and we have a 24 hr staffed department for any additional mutual aid. Quoting Paulo Rodriguez This looks spot on! I love it! This looks spot on! I love it! Quoting Scotty Jones I have a 1985 MACK CF/2016 Pierce Aerialscope, all LEDS, a 1979/2014 MACK CF hdr all LED, and a 1982 MACK CF/2016 Pierce Wagon Pumper all LEDS. It looks fine, but whatever. Hey do we run mutual aid? I don't think so. What is your department's protocol? I have a 1985 MACK CF/2016 Pierce Aerialscope, all LEDS, a 1979/2014 MACK CF hdr all LED, and a 1982 MACK CF/2016 Pierce Wagon Pumper all LEDS. It looks fine, but whatever. Hey do we run mutual aid? Quoting Scotty Jones try a basic LED barlight instead, I think personally it looks better, at least on the macks I have created. try a basic LED barlight instead, I think personally it looks better, at least on the macks I have created. Quoting Sven J. It's a oldschool Fedsig Aerodynic Lightbar :) And it fits pretty good to your planned rig. Very nice work my friend. Wow! Someone knows their lights ;) Thank you so much Sven! I'm hoping my parts arrive this week... The wait is tantalizing!! It's a oldschool Fedsig Aerodynic Lightbar :) And it fits pretty good to your planned rig. Very nice work my friend. Quoting Scotty Jones ok? i would try LEDs or a 360 bubble light for this puppy. ok? i would try LEDs or a 360 bubble light for this puppy. Thank you Josh! My plan is have a multi-faceted hazmat response team. It will be made up of HM1, Decon 1, and Foam 1. Quoting T.J. Brammer Nice Mack! Can't wait to see it finished. Quoting Jimmie Martinez Nice looking SNOT work on the Mack front end. Can't wait to see the completed unit. Thank you Jimmie and TJ! Yes, I can't wait either! Nice Mack! Can't wait to see it finished. Nice looking SNOT work on the Mack front end. Can't wait to see the completed unit. Quoting Scotty Jones I dont like that light, but the rest looks good. I dont like that light, but the rest looks good. Quoting Oran Cruzen Nice WIP Michael! Thank you so much Oran!! Quoting Lane Spyksma More pics please! Great Job! More pics please! Great Job!